I received the following from Chris Treharne of Longmont Watch, a local political advocacy group, and am only too happy to repeat it here. 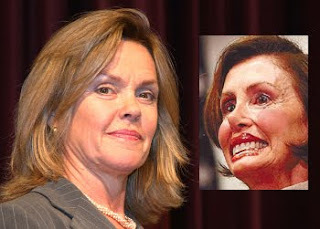 Feel free to contact Congresswoman Betsy Markey about this issue, never forgetting she votes about 90% of the time with the absolute worse elements of Congress, including her apparent idol and often face-lifted Nancy “Stretch” Pelosi (nod Mark Levin). Here’s to hoping the unemployment rate in Colorado goes up by one in November (for you sarcastically challenged Progressives/Socialists/various miscreants, that one being Markey). I am terribly distressed to hear that you are changing your vote on healthcare, which you voted against last year. Voting for this bill will hurt the very constituency it allegedly will help by endangering the economic and political future of our country. The unintended consequences will be tragic. I truly cannot imagine the political pressure to which you are subjected. Nonetheless, I see you change in position as further evidence of the corruption, alienation and detachment of our national government. Even when I have legitimate policy differences with others, I try to be sympathetic toward them because I recognize that leadership roles always carry great burdens and demand great personal sacrifices. Nonetheless, be assured that I will do all I can to make sure you are not reelected as my Congressional representative. I pledge to you that I will campaign for, raise money for, contribute personal funds to, and vote for the opposing candidate. I am angry, disgusted and disappointed at your change in position. I am blind copying my 100+ person political advocacy distribution list hoping that many of them will forward my email to you or otherwise express their concerns about your change in position. I’m also encouraging them to forward my email to their friends hoping they, too, will express their concern with your actions. Tagged Betsy Markey, Longmont, ObamaCare. Bookmark the permalink. I agree totally. I just finished and emailed a letter of my own to Ms. Markey. Although not nearly as eloquent as this letter, I said basically the same thing – That I would help her to return to the private sector.